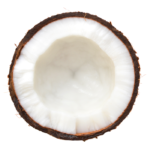 Coconut lovers, rejoice! Save 20% with our Coconut Joy Pre-Shave bundle, which includes our Coconut Joy Raw Sugar Pre-Shave Scrub and our Coconut Joy Smooth Pre-Shave Oil. Prepare for epic levels of smooth, and feel transported by our exotic, nourishing signature Coconut Joy scent with every use. It’s like a tropical vacation in a bottle! Made with all natural ingredients, this coconut scrub and oil bundle is hypoallergenic, soothing, conditioning, and made with love in California. 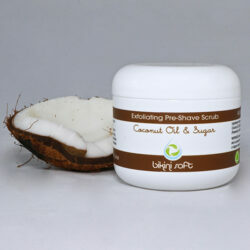 Our coconut oil & sugar pre-shave scrub can be used alone for touchably smooth skin everywhere (even your face! 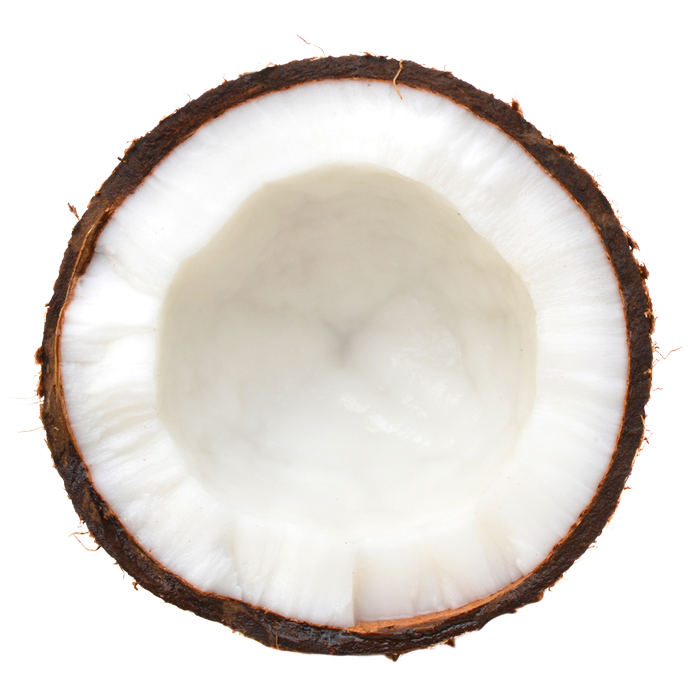 ), or for even better results, as step 1 before our Coconut Joy Smooth Shave Oil. Using our scrub couldn’t be simpler — scoop a little between your fingers, apply to wet skin and gently massage in a circular motion. You can also regulate the intensity of the exfoliation with the amount of water you use with the scrub. More water added means a gentler scrub, and vice versa. Our scrub is made with natural sugar exfoliants, is never abrasive, and is gentle enough for daily use. Girls, I just exfoliated and shaved my bikini area with Bikini Soft and it feels like I’ve been waxed! Honestly, my skin is so soft and smooth and absolutely no pain! This is the most incredible product I’ve ever used! 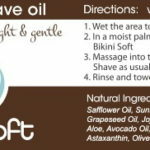 I was skeptical when I read about Bikini Soft, but the guarantee convinced me to try it. After all the worst thing that could happen would be I would just get my money back. But let me tell you, this scrub and shaving oil are like manna from heaven for women like me who have to shave3 – 4 times a week. This is one of those must have grooming products and I definitely recommend it! 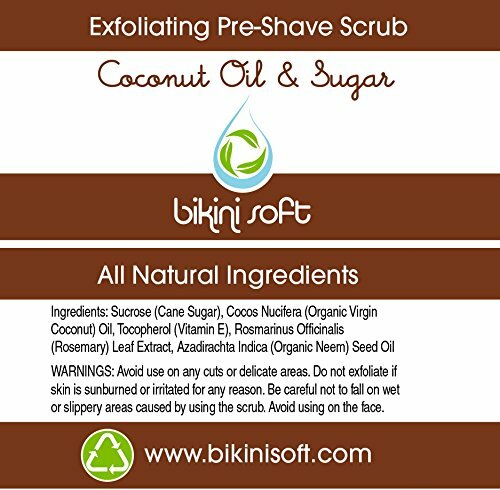 Thank you Bikini Soft for my favorite new beauty product, your Coconut Oil & Sugar Pre-Shave Scrub! It is truly a god-send and makes my skin feel so soft and moisturized. My only regret is that I didn’t know about it sooner! 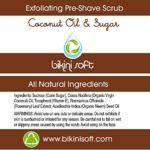 Bikini Soft Coconut & Sugar scrub is the best body scrub that I have ever used! 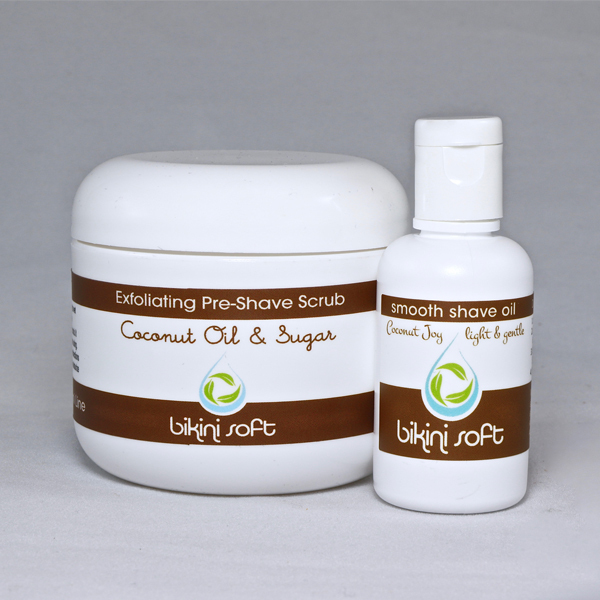 I’m a big fan of body scrubs and have tried at least 6 other brands… but none were as smooth as Bikini Soft. I’m hooked now on the whole Bikini Soft shaving method and I feel like I’ve found the Fountain of Youth for my legs! Ladies, this is a must have beauty product! I love my Bikini Soft!! It honestly is the best product I have found that works perfect for shaving close to the skin without irritating my skin. I will never use anything else, because it has made such a difference on my skin just in the last 4 days that I’ve used it. It’s the best product on the market and I’m so glad I finally found a product that doesn’t break me out. WOW! This scrub is amazing! First it’s so light and fluffy. But then when you apply it to your skin it just kind of melts into this soothing oil and I was really surprised at how little you have to use. Just a little dab seem to spread all over my lower leg (followed the directions of applying in a circular motion). But what was really impressive was how easy it was to shave my legs! My razor just seemed to slide over my skin and afterwards my legs were so soft and smooth! Truly the best shave experience I’ve ever had! This is one you have to try! Love it! Just in one use, my legs are super smooth. My fiancé loves it too!